New box art for Marvel Ultimate Alliance two seems to indicate that a certain ragin' cajun might be making an appearance in the upcoming sequel. 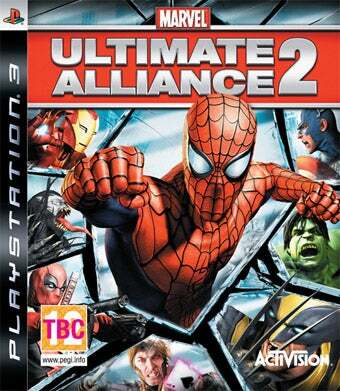 Every character gracing the latest Marvel Ultimate Alliance 2 box art, now popping up at retailers around the internet, has been announced as a playable character in the game, except for one Remy Lebeau, otherwise known as the card-slinging, staff-wielding mutant, Gambit. Gambit appears in both the UK box art posted at ToTheGame, as well as promotion art appearing on U.S. retailer GameStop's website. Considering Remy's status as a fan-favorite and his recent live-action appearance in X-Men Origins: Wolverine, jumping to the conclusion that we have a new playable character on our hands is easy, but we won't jump. He's on the art, but until Activision responds to our inquiries or outs him officially, that's the only place he's appearing. Thanks Matt for pointing out the new art!